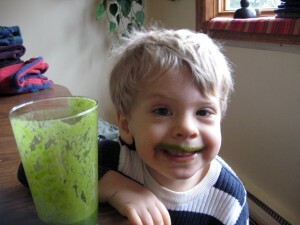 OmniBlend Review - Got Greens? While the most common answer to the question "What blender do you recommend" is primarily Vitamix or Blendtec, both of those carry a big price starting at ~$450 new. Introduction of the JTC OmniBlend V caught our eye as a possible third option. At only $269, with coupon, and a "7-year warranty", it is marketed with a "3 horsepower motor". How could we not check this out? After trying the blender, it appears to be a little more than an over-priced average kitchen blender. OmniBlend vs Blendtec vs Vitamix, how do they compare? The OmniBlend V draws some moderate power. 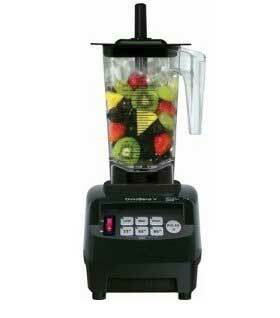 It does a fine job of blending fruit smoothies and can even handle doing nut butters with the use of the tamper. Like most common blenders, it also has no issues with crushing ice or blending frozen drinks. It does not grind grains all that well. If you are wanting a blender to make flour this is not the one. It puts out 9 amps at 950 watts. How fast does it blend? We spoke several times with Thomas Fox, the distributor, and he would not provide any information regarding the RPM or how fast the Omni spins except to say that it is "slower speed than competitors". If you read, or hear, about the OmniBlender one term always goes with it – "3 horsepower blender". Don’t be wowed by this. Horsepower is a relatively useless measurement when it comes to blenders and OmniBlend proves this. There are many ways to measure it and even more ways to report it so it has little meaning. The information reported on the OmniBlend website is that to achieve its 3 hp, the blender would be running at 2238 watts which can only be measured when the motor shuts down due to overload. According to OmniBlender calculations 746 watts = 1 hp. So at 950 watts the Omni Blender is actually a 1.27 horsepower blender at most when being used. The OmniBlender appears to be a solid made product. At about 8 pounds it feels like it has substance. The plastic molded base and the control key pad seems to be made of quality. The blender comes with a "7-year warranty" for home use in the US and Canada. For $259, this is appears great since most common household blenders only have a warranty of 90 days. Unlike the 7-year warranties of more expensive blenders such as Vitamix or Blendtec which cover everything, the OmniBlend warranty is limited. 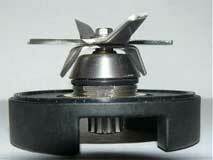 The blade, the container and the drive socket is warrantied for only 1-year. The tamper is not covered under any warranty. While it does come with a good warranty, the OmniBlender has only been in the US market for about 2 years. The manufacturer, JTC, based in China and Taiwan, has been manufacturing appliances for a little over 10 years. Warranty service remains to be a big question mark. The operation of the OmniBlender is straight forward. It is a 3-speed blender. You have the choice of 3 speed settings, low, med or high. There are also 3 one-touch timer selections of 35, 60 and 90 seconds as well as a pulse button. The timer settings are just that – a set time of blending. Each of the 3 settings run on high speed. The 60 seconds feature has a brief pause at about the half way mark then ramps back up to high speed. The 90 second feature has 2 of these pauses. The pauses help to alleviate cavitation. The OmniBlend V comes with a 64 oz container and a 6-blade stainless steel assembly. The container looks very similar to other high-performance blender containers although this one is not BPA-Free. It is made of a "Food-Grade Polycarbonate" and is recommended to fill only to the 50 oz mark. The OmniBlender also comes with a tamper, referred to as a "Emergency Plastic Tool". We rarely find need to use a tamper except when making thick blends. Even so, it is nice to have the option to use a tamper rather than stopping the blender to manual push ingredients when needed. Cleaning is very similar to other blenders. A moist or damp cloth to wipe down the base and the container can be cleaned by running the blender with a little soap. While we do not recommend it, it is advertised as okay to place the container in a dishwasher as long as you do not use a hot sanitizing feature. 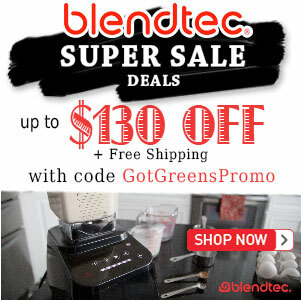 OmniBlend Compared to Blendtec and Vitamix? If you are considering the Omni blender it is likely because you are wanting more out of your blender than a common household blender. The most common question we are asked is always "how does this compare to a Vitamix or Blendtec?". Operating at 9 amps and 950 watts, the OmniBlend V has more power than many common household blenders and has the ability to blend most anything. Both the Vitamix, 11.5 amps/1380 watts, and the Blendtec, 13 amps/1560 watts, both have more power. Ultimately it takes longer to blend things in the Omni and it can’t make blends as smooth as the Blendtec or Vitamix. All three blenders come with an advertised 7-year warranty. While both the Blendtec and Vitamix warranties cover everything that comes in the box, the Omni warranty is very limited covering many components for only 1 year and there is no information available as to how warranty issues are handled – do they get sent back to China? With it’s 3 speeds the Omni also offers 3 timed programs settings. The Vitamix offers complete control over blending with its variable speed control and Blendtec has 10 speeds and offers 6 or 25 program cycles. Vitamix and Blendtec are made in the USA. OmniBlend is made in China. The Vitamix and Blendtec remain as the ultimate in blending and offer far more. But they can be cost prohibitive. If you can not spend the $450+ we still recommend a Vitamix reconditioned model for only $329 over the $259 OmniBlend or a refurbished Blendtec for under $380. The OmniBlend V is a decent blender. At $259 it is an upgrade in power and features from most common kitchen blenders and could be worth the difference. 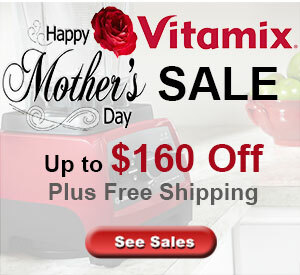 But if you are truly looking for the quality of a Vitamix or Blendtec at a cheaper price – this isn’t it. As the old saying goes… “you get what you pay for”.